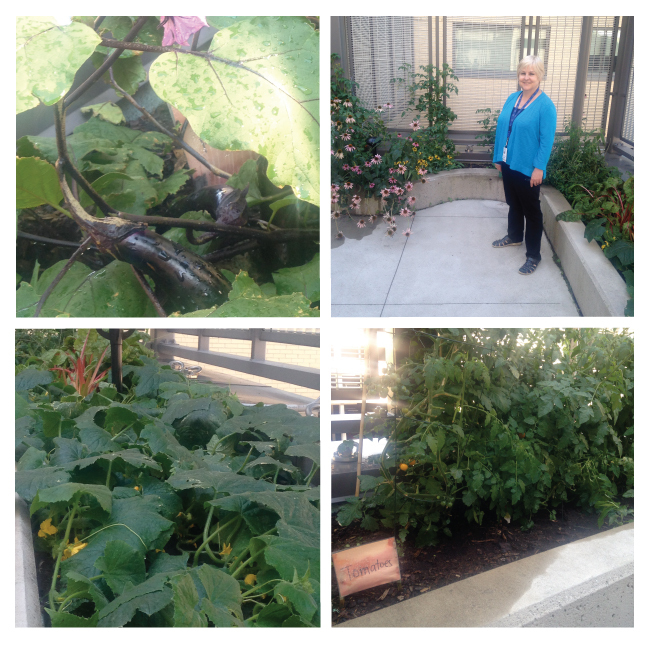 I am thrilled and delighted to introduce our first wheelchair accessible garden at Toronto Rehab, Bickle Center! We’re calling it GROW, for Garden Rehab On Wheels. A lot of green thumbs and grey matter went into designing this new venture. See for yourself! This is the stellar Green Team after our first meeting of the season – our gardening champions are from recreational therapy, speech language therapy, nursing, clinical nutrition, spiritual care, volunteer resources, maintenance, management and administration. Harry Stoddart, Ontario livestock farmer and author of Real Dirt, An Ex-Industrial Farmer’s Guide to Sustainable Eating. Seems like these days, every enviro-minded, hippie-dippie, socially-conscious-consumer has an opinion about organic farming, farm animal welfare and GMOs. But how much do we really know about this big field that is agricultural science? Turns out, even the most knowledgeable food scientists might not know it all. I was amazed to find out that many researchers forget to consider Darwin’s theory of evolution in their practice. Wait a minute … genetics is the basis of crop science. How can this be ignored? What does it take to serve local food to our patients? That’s the question we investigated for the past year with the input of nearly 700 members of the UHN community. You shared your expertise in interviews, sent your ideas online, shared your soothing foods on post-it notes, dug into complexity at conversations cafés, responded to surveys, and even gave your feedback on a fantastic Ontario soup made by Chef Geremy Capone at the ELLICSR kitchen. We couldn’t hope for better participation. Thank you! How do you change a system? Collective Impact teaches us about the power of community conversation to tackle complex social issues. Indeed, “how much we can accomplish in this world depends on how much we can see”, said John Kania, Collective Impact expert. What would happen if we helped staff at UHN to get out of their comfortable bubble of expertise and take a closer look at our whole hospital food system? With that goal in mind, I teamed up with a group of UHN staff who are also students at the OISE Food Sovereignty program. We embarked last week on the horizon-broadening project of Conversation Cafés. In this cold country of ours, is it possible to make a local-food feast for the holidays? With the growing season a hazy memory, I went on a quest to find good Ontario foods for our Holiday menu. I searched all corners of the land (technically, all corners of the Internet) for some of the best treats. Believe it or not, there is still some great produce available in December: pears, apples, squash, beets, carrots, cucumber, mushrooms, lettuce … and lots more goodies for grownups and kids to get cookin’. And with that, I proudly present my ~ * local holidays selection * ~ widely inspired by our friends at the ELLICSR Kitchen. This recipe is just the ticket for an afternoon break after a long walk outside. Picture a roaring fire, spiced tea brewing in the teapot, and the smell of cinnamon and nutmeg bringing the family together. I’m sold! Parsnips, beets, apple sauce and eggs can be found local in Ontario.